In mid-July, the Israeli Parliament, by a vote of 62 to 55, enacted a basic law, “with the weight of a constitutional amendment, declaring Israel ‘the nation-state of the Jewish people,’ built on national self-determination ‘unique to the Jewish people.’ It prioritizes Jewish building and downgrades Arabic from an ‘official’ language alongside Hebrew to one with a ‘special status.’” [This is now known as “the nation-state law.”] For a rather complex set of reasons, Israel has been forced to choose between democracy and its identity as a homeland for the Jewish people. The founding prime minister of Israel, David Ben-Gurion, warned in 1967 that Israel would in the not too distant future need to choose between its dual identities as a Jewish state and a democratic one. Recent polls within Israel indicate that Israeli citizens are also feeling this tension. Growing numbers see their country as facing a choice between being Jewish first or democratic first. For a growing number, identity as a Jewish state if their first choice. As Max Fisher has observed, “The modern era endowed countries with two rights, supposedly unassailable, that turned out to exist in tension. The right of national self-determination envisioned states as unified collectives; one nation for one people. And the right of democracy prescribed equal participation for all, including in defining the nation’s character.” With the nation-state law, Israel has chosen the right of national self-determination. What are some of the practical results of this choice? The law has a direct effect on the minority Arab population of Israel (about 21% of the population of Israel, which totals nearly 9 million). Because the nation-state law omits any mention of democracy or of equality of all citizens, the Arab minority of Israel concludes that Israel has effected a change in their status within the nation. Circassians, a mostly Muslim ethnic group, has been drafted into the Israeli military as have been various Bedouin nomads who live in the Negev within Israel. As with the others, presumably the new law will affect their legal status within Israel. 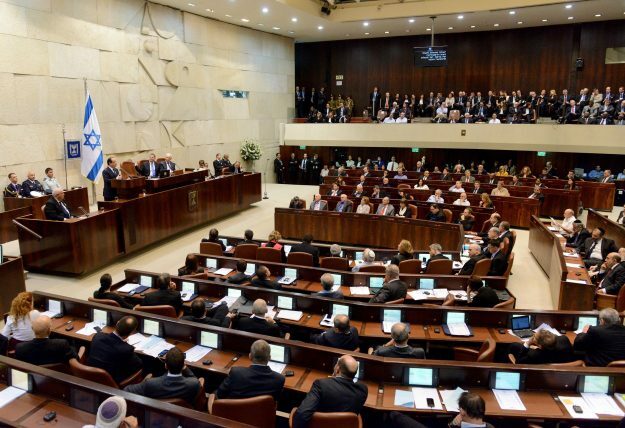 Why did the Israeli Knesset pass this law? There is a political reason, reflected in the coalition Prime Minister Benjamin Netanyahu has knitted together. Those who say Israel should be Jewish first overwhelmingly identify with the political right, which is the core of Netanyahu’s coalition. Decades of violence and terrorism within Israel have fed the pull toward national identity not democracy. The various Intifadas of the 1990s and early 2000s were aimed at the uniqueness of Israel as a homeland for the Jewish people. Hezbollah, Hamas and Iran, to name only a few of Israel’s enemies, are bent on destroying the whole idea of Israel as a homeland for the Jewish people. Each is committed to the obliteration of the nation-state of Israel. There is also a demographic fear. Until recently, Arab families were having more children than Jewish families, which would spell a disaster for representation in the Israeli Parliament, the Knesset. Many envisioned a day in the not too distant future when Arab representation in the Knesset would outnumber Jewish representation. In reality now, the Jewish birthrate is high (especially among the Orthodox Jewish population) and Muslim birthrates are declining. Nonetheless, the fear of being outnumbered remains. In much of the nation’s history since 1948, polls have rather consistently indicated that Israelis believed that their nation could be both Jewish and democratic. But over the last 10 to 12 years, that position has become a minority one within Israel. How do we explain this—Jews once again in their Promised Land? It was certainly the vision of Theodore Herzl and the Zionist movement to transfer people from one continent where they were being persecuted, almost extinguished, to their ancient homeland. And it was their goal to reestablish the state of Israel with its revived language of Hebrew—all in the land of their forefathers. This book has documented the historic events that effected the realization of these goals. Yet, this book has also argued that there is a supernatural explanation for the miracle called Israel. It is God fulfilling His promises first detailed in the Abrahamic covenant and reiterated continuously throughout both the major and minor prophets of the Old Testament. The birth of the modern nation-state of Israel is not only an event of history; it is the fulfillment of prophecy. Ezekiel 36:16-38 is one the most important passages in Scripture envisaging the restoration of the Jewish people to their land. As this event is accomplished, Ezekiel exclaimed, the nations will be silent in their amazement of what God has done (vv. 33-36). I believe quite strongly that in the 21st century we are witnessing that restoration. But the other dimension of Ezekiel’s prophetic claim is the spiritual restoration of the Jews. That is detailed in Ezekiel 36:22-32 and 37:15-28. God will put His Spirit in them; they will obey Him; and they will walk with Him forever. The fulfillment of God’s covenantal promises to Abraham (land, seed and blessing), to David (an eternal throne, kingdom and dynasty) and the New Covenant of spiritual renewal are foretold in 37:24-28. The Jewish people will be united as one people, secure in the land God promised them, renewed spiritually and with their Davidic King ruling in their midst. We await that fulfillment. More than anything else, these facts establish the uniqueness of Israel as a part of God’s program. That Israel should remain a distinct homeland for the Jewish people is rooted in the covenants of the Bible—and from God’s perspective that makes Israel unique. 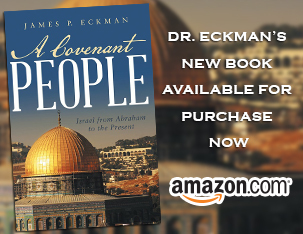 See Max Fisher in the New York Times (23 July 2018); The Economist (28 July 2018), p. 36; Isabel Kershner in the New York Times (1 August 2018); James P. Eckman, A Covenant People: Israel from Abraham to the Present, pp. 327-328. I used to tell my K-12 students that life and education is one long process of answering the two fundamental questions that only human beings can ask: 1. Who am I? and 2. Why am I here? In all of God’s Creation, only humans, because we reflect God’s image, are forced to answer these questions. Nations are essentially defined groups of people and they too must be continually answering these two questions. Never is this more apparent than when great masses of people are being swirled together, mixing and redefining their identities due to forces beyond their control. In a broad sense, governments are formed to answer these two questions over and over again. The more complex the government, the harder this process becomes. Representative democracy, as a direct reflection of a nations’ demographics, must continually define and redefine its identity as demographics change over time. The United States has done this many times in its short history. For Modern Israel, a very young nation, surrounded by much older, hostile, non-democratic nations, answering these identity questions pro-actively is truly a matter of survival. Islam has always advanced by war and birth rates higher than the ‘infidel’ nations it seeks to overcome. Israel must set limits on its identity as a nation or it will slowly disappear through its own changing demographics. Islamic eschatology also predicts the return of a powerful Messiah who will lead and protect Israel from Jerusalem. However, they claim this is a false Jesus who will be overcome and overthrown by their true Jesus, who will lead to the global victory of Islam, also ruling from Jerusalem. Of course, this will require the violent death of all Christians and Jews who will not convert to Islam. The concept and value of tolerance is nowhere seen in their eschatology. Both Jews and Islam have drawn their ‘lines in the sand.’ The stage for a final battle is being set in Jerusalem.